Passing the Peace:Repurposing Weaponry — Anna Akbari, Ph.D. Assault weapons made headlines again with the February 27th proposed federal ban hearing, and the controversy already caused the cancellation of Harrisburg’s popular Eastern Sports and Outdoor Show earlier in the month. Although only developed in the last year of World War II, the assault rifle is still referred to as the most “abundant and reliable killing device in history.” Thankfully, peace is making the news too, especially in Kenya, where millions of voters celebrated a relatively peaceful (albeit long and very controversial) voting experience during the first week of March, distinguishing it from the previous election in 2007 which left more than 1,000 dead. Weaponry and peace also exist side by side in the artworld, as demonstrated by Colombian musician Cesar Lopez, who transforms instruments of war into musical instruments – guitars, to be exact. 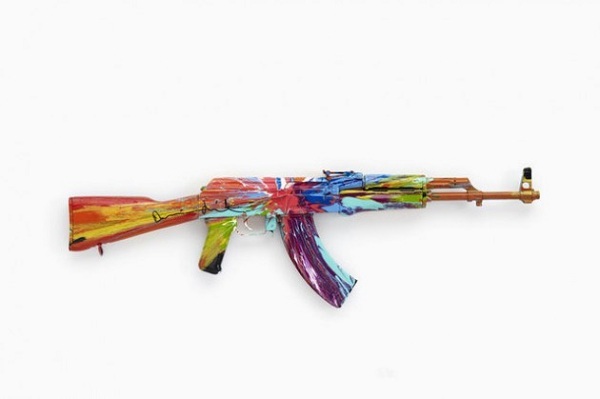 Last year’s innovative Peace Day exhibit, called AKA Peace, also showcased decommissioned AK-47’s transformed into pieces of art. Although there isn’t a shortage of artillery shells in farmers’ war-torn fields in Ethiopia, there is a shortage of jobs for Ethiopian women, especially HIV-positive ones. 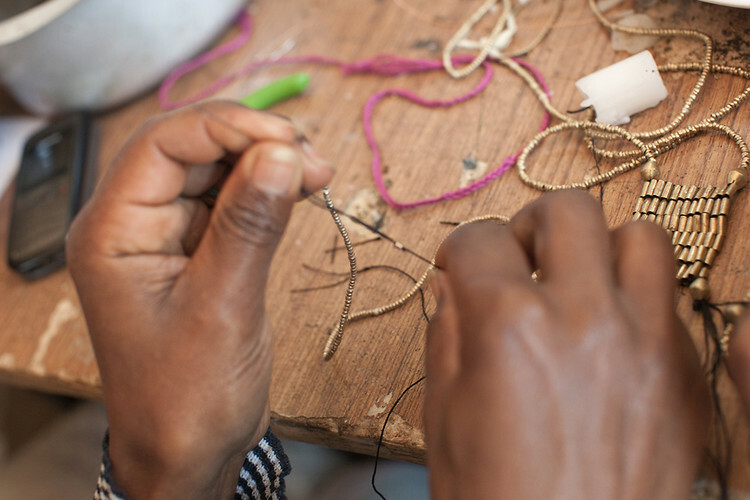 Raven and Lily partners directly with the women who are already expert beadmakers in Ethiopia by buying bullet casings from farmers, and then melting them down to create small, intricate beads used for modern jewelry designs. Since its inception, Raven and Lily has doubled the number of women involved in this transformative craft, and is pursuing a similar partnership with women in other countries. 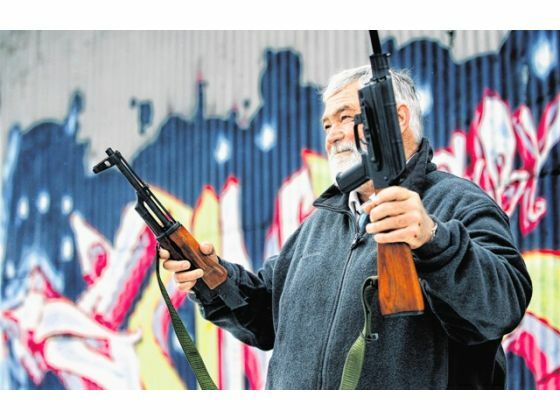 Mike Warren, pictured above, holds the two halves of his AK-47 that he brought to the guys at RAWtools early last month, to be heated, reshaped and turned into a garden tool for Ranch Community Garden in Colorado Springs. An avid fisherman and hunter, Warren is keeping his sporting weapons, but wanted to be relieved of his assault rifle after the Sandy Hook tragedy. The “raw” part of the nonprofit is “war” spelled backwards, and that’s just what they do – “replace stories of violence with stories of creation” by repurposing weapons into sustainable tools like garden trowels and weed pullers. 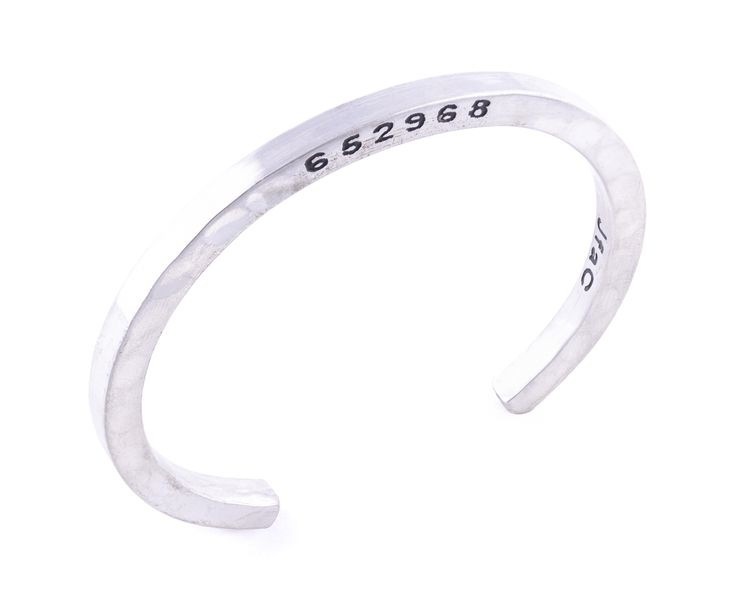 The Caliber Collection boasts delicate bangles and cuffs made from 250 illegal guns and their bullet casings swept off the streets and out of crime scenes by the Newark Police Department. Each item preserves the weapon’s original serial number, and 20% of the proceeds support gun-buyback programs, so the upward cycle continues. In less than 2 months, collaborators behind the Caliber Collection – Newark mayor Cory Booker and jewelry designer Jessica Mindich – raised $20,000 for the community’s gun-buyback program. The Combat Paper project offers papermaking workshops for veterans, using a personal item as the raw material for hand-crafted paper: combat uniforms. 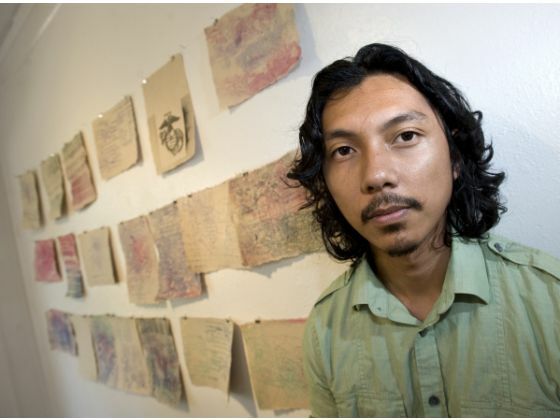 In a symbolic process, veterans transform their uniforms into paper, and then that paper into art, as a way to turn their personal experiences into a platform for public conversation, expression, and understanding. Since their first Combat Paper experiment in 2007, founders Drew Matott and Drew Cameron have travelled the country offering veteran workshops, exhibits, talks, and paper art demonstrations. 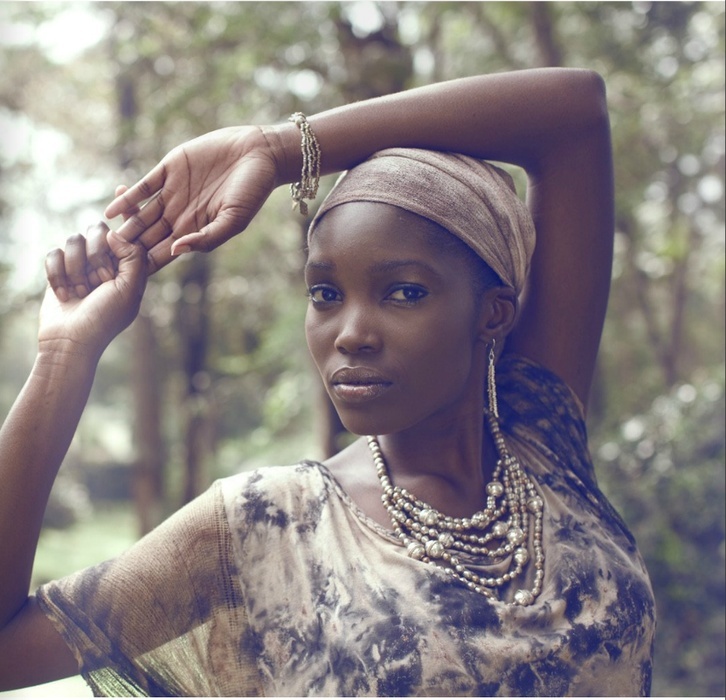 Fonderie 47 uses confiscated AK-47 rifles from African war zones and refashions them into sleek and unique jewels, rings, earrings, necklaces and cufflinks. 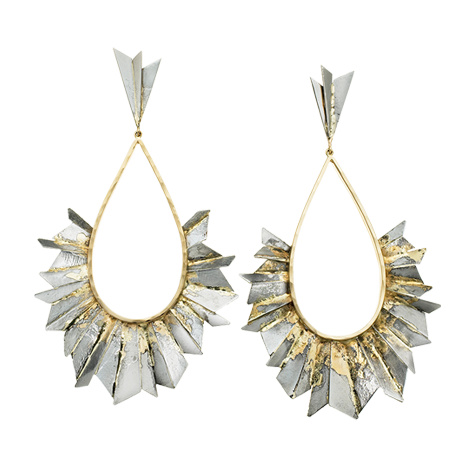 The company’s jeweler, James De Givenchy, ensures that the steel reclaimed from rifles is paired with sustainably sourced 18-karat gold and conflict free diamonds. Furthermore, each purchase is accompanied with the weapon’s original serial number, and finances the destruction of a specific number of weapons. For example, the sale of the Polished Antique Finished Earrings, pictured above, pays for the elimination of 500 assault rifles in the Democratic Republic of Congo.